John Burnet Dundas, born 14 Nov. 1794, is youngest son of the late Sir David Dundas, Bart., by Isabella, daughter of Wm. Robertson, Esq., of Richmond, co. Surrey; nephew of the late Capt. Ralph Dundas, R.N. ; and brother of the present Sir Rich. Fullerton Dundas, Bart. This officer entered the Navy, 10 July, 1807, as Fst.-cl. Vol., on board the Spencer 74, Capt. Hon. Robt. Stopford, one of the ships employed in the ensuing expedition against Copenhagen. 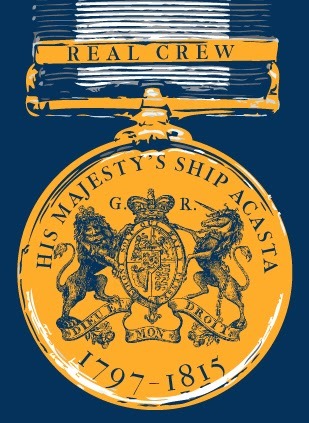 From Oct. 1809, until the receipt of his first commission, 25 April, 1815, he served, as Midshipman, on board the Unicorn 32, and Acasta 40, both commanded, on the Home and North American stations, by Capt. Alex. Robt. Kerr ; under whom he appears to have been most actively employed, and to have witnessed the recapture of L'Esperance (late H.M. 22-gun ship Laurel), and the capture, independently of many other vessels, of five privateers, carrying in all 57 guns and 510 men.